No shame in wishing for a strong beautiful brow! NYX Professional Makeup foolproof tinted brow mascara helps your dream come true. It'sets, tames and tints brows for natural-looking wear. The dependable formula leaves brows feeling soft while maintaining complete control. Shapes, defines and sets brows in place. Provides natural look to brows. Explore the entire range of Eye Brow Enhancers available on Nykaa. 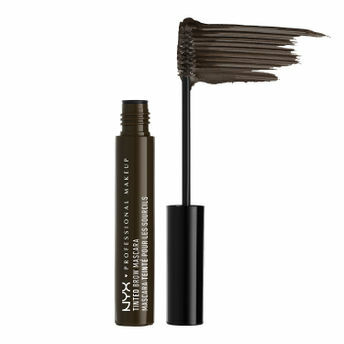 Shop more NYX Professional Makeup products here.You can browse through the complete world of NYX Professional Makeup Eye Brow Enhancers .Alternatively, you can also find many more products from the NYX Professional Makeup Tinted Brow Mascara range.